Continuing Feministing’s coverage of #StandWithNanHui, we spoke with Orchid Pusey, Associate Director of the Asian Women’s Shelter in San Francisco, to learn more about Nan-Hui’s case and how we can support folks like her. 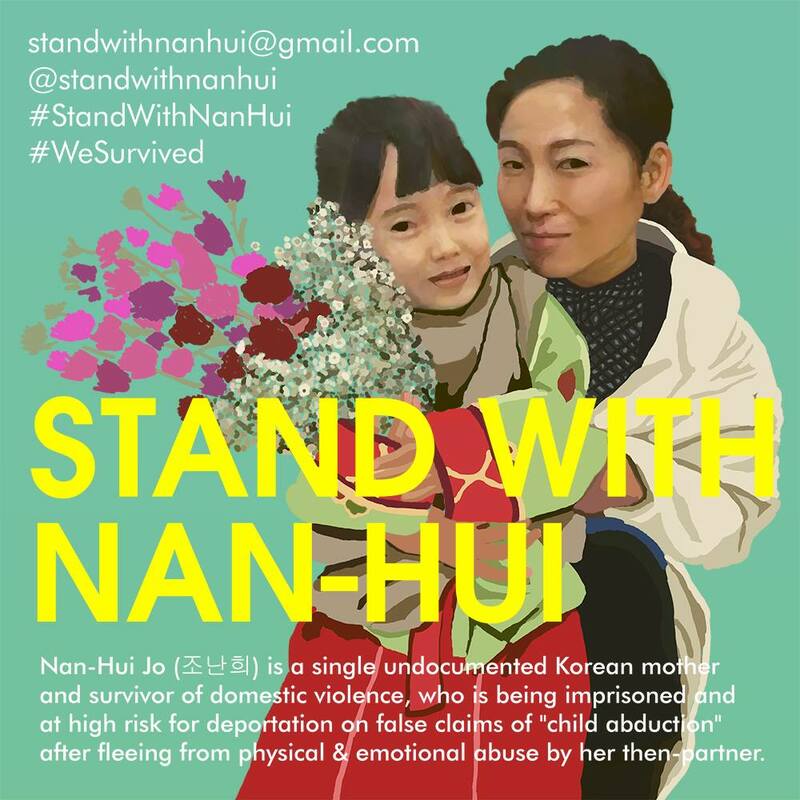 The Asian Women’s Shelter has joined with fantastic organizations like the Korean American Coalition to End Domestic Violence and the Asian Law Caucus, as well as numerous supporters across the world, to demand justice for Nan-Hui Jo and her child. Currently, Nan-Hui is at serious risk of deportation, after a court ruled that she was guilty of child abduction when she fled the country to escape domestic abuse from her child’s father. Nan-Hui’s case demonstrates why it is particularly dangerous for immigrant women to depend on the police for protection as it is the same justice system that can detain and deport family members, only worsening their trauma. At the Asian Women’s Shelter, Orchid Pusey serves survivors of domestic violence and their families through multi-lingual, culturally relevant, and compassionate care. We are very grateful to have spoken with her, learn more about her work, and how we can continue our support of Nan-Hui. Suzanna Bobadilla: To get started, you could share an update on what is happening with Nan-Hui’s case? Orchid Pusey: This week Nan-Hui Jo was given a guilty verdict at the end of a second trial for her for the same charge, the charge being child abduction. She had already been tried once in December in Yolo County, CA. The result of that trial was a hung jury — it was hung in her favor. After that trial ended, there was a surprisingly aggressive rush from the Yolo County DA’s office to retry her. That’s what’s been happening since the end of February until just a week ago. SB: How have grassroots organizations, like your own, worked together to bring this case to the national level? How did you come together to make a coalition to support Nan-Hui and women like her? OP: There are three main players involved in generating awareness. 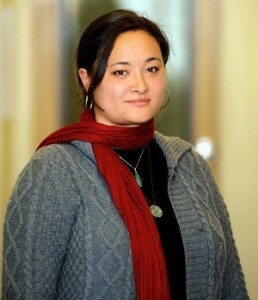 KACEDA (the Korean American Coalition to End Domestic Abuse) first learned about the case. Then one of my co-workers, Hye-Jin, is both a staff member at the Asian Women’s Shelter and is playing a tremendous leadership role in KACEDA. She has worked with others at KACEDA, and I am positive that they will see Nan-Hui’s case through the end. We at the Asian Women’s Shelter have been involved, and the third organization is the Asian Law Caucus. This past Thursday, our coalition, KACEDA, the Asian Women’s Shelter, and the Asian Law Caucus, went to Customs and Border Patrol and Immigration and Custom Enforcement field offices in San Francisco to deliver petitions that KACEDA and Asian Law Caucus designed. The combination of our social media networks, our actual #StandWithNanHui Twitter and Facebook, and our petitions made it possible for us to raise awareness on the case. I think that Yolo County didn’t have any idea of the level of outrage that this case would provoke. SB: How can our readers support people like Nan-Hui, as well as those that you serve at the Asian Women’s Shelter? OP: There is no short answer, which I think is good news. There are a tremendous array of things that people can do to support Nan-Hui and to support so many people who are in similar positions or would get to similar positions without support. I think it’s important for people, those of varied familiarity with ending domestic abuse and fighting for a more just immigration system, to actually understand how much is in play for a case like this. The Yolo County DA’s office would say that Nan-Hui was abusing the US system and conniving to take her baby away from the father. I would want the general public to look beyond those statements that you would hear in court from the DA, or those revolting statements now celebrating this case a victory. I would encourage the general public to think about how survivors of domestic violence could be criminalized for protecting their children. Survivors have to take precaution by filing Good Cause claims, because they never know when their parenting decisions could be used against them in retaliatory litigation. It’s important to understand that what Yolo County presents as a “conniving immigrant” — someone who is trying to get as many resources paid by US tax dollars as possible — is such an old false stereotype that is continuously used in trials like these. The misrepresentation distorts a sense of fear — a feeling that no one else will take care of my child so I must alone — into what they call “conniving.” People are deciding to take their children away because they no longer have status and are terrified that this abuser who has not been the parent of their child (I’m talking about the lived practice, not biology) will use the US legal system to separate them from their loved ones. [They] are terrified by how the state can be used against them. I think in mainstream domestic violence conversations, people are aware about how often power and control plays out decades after someone leaves the relationship, often in the form of retaliatory litigation. The difference here is when you look at this from an international perspective, it involves ICE and Customs and Border patrol, and the ramifications of that retaliatory action is magnified. That’s what’s happened with Nan-Hui. SB: I was really excited to hear about the history of San Francisco’s Asian Women’s Shelter and how you have been innovators in providing multi-lingual and culturally relevant services. Could you share some learnings from this perspective? OP: Asian Women’s Shelter opened in 1988. When we opened there were very few resources for multi-lingual communities in San Francisco, and we were there to start serving that need. People who aren’t fluent in English can still get their basic needs met when they are in crisis. One of our founding principles is that basic needs aren’t special needs. So often when people are developing policy and programs, they think about the basic needs for so many people as satellite afterthoughts. At the Asian Women’s Shelter, our belief that basic needs aren’t special needs means that being able to talk to someone about resources and understand them is a basic need. We have a nationally recognized model that expands language access as the demographic and communities change. We’ve learned that non-profits aren’t going to have the money to hire officially state-certified interpreters. In an ideal world, survivors would be able to speak with someone in their language that understands domestic violence, human trafficking, and child abuse. So our multi-lingual access model fills a basic need of understanding. It’s also important for people to know that no one goes to shelter because they want to. They go to shelter because there are no other options. People go when they feel that they are at the end of the line, that they are going to be severely hurt and killed, or they can’t have their friends and family threatened and they need some place neutral. At AWS, when people are finding a new step for their lives, we are committed to being there for them, side-by-side. This is one moment in someone’s life and it’s so important that we can offer everything that we have — when they are in crisis and when they leave the shelter. Right from the beginning, we had a diverse way to connect with what violence is and how people need a support system. There might be grandparents involved who need to get out too. We certainly didn’t adhere to saying that you can’t have boy children beyond a certain age or that you can’t cook your own food. We at AWS do everything we can to make the shelter feel like home. 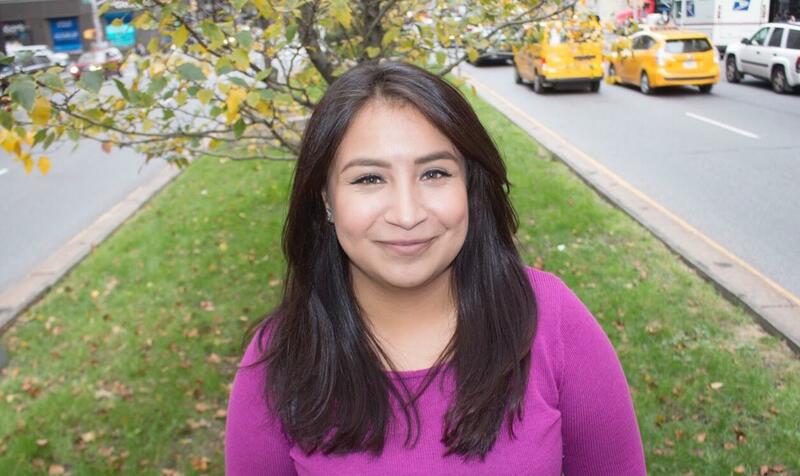 We serve people who were lied to about the progress of their residency applications to give them as much of a hard time as possible, people who are waiting for their work permit to come in the mail, people who have been certified as a survivor of human trafficking but who can’t get a job or housing. We believe that it’s our job to figure out what they are facing and what support they need. Because of that I’m proud such a high percentage of our survivors have found what they need. 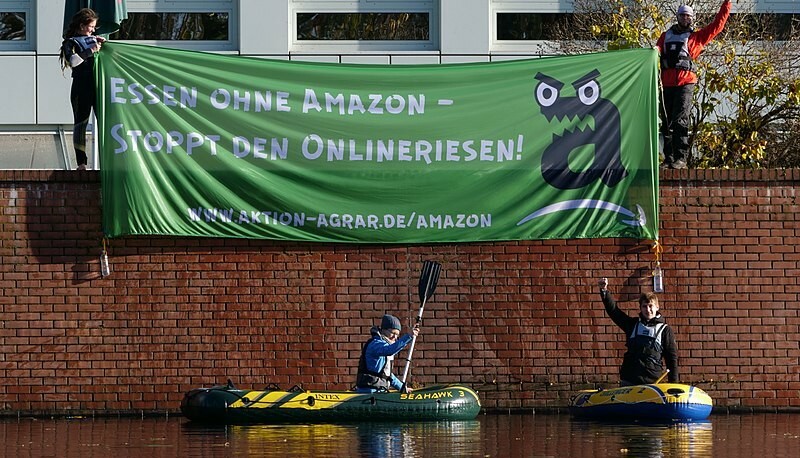 SB: Who or what has been your inspiration throughout your work with the AWS? Orchid Pucey: When I was first getting into this work, I was inspired by my mom and my mother’s mother. I’m from a family where I have knowledge of my maternal line five generations up. Thanks to the fact that we are a big talker family, I have all of these examples to inspire me and guide me. My grandmother was such a strong woman, who thought that the belittling treatment of her and her sisters was not right. My grandmother challenged so many systems in the earlier part of the 20th-century China. She inspired me with her ferocity, and she also influenced my mom. To keep staying in my work, I am inspired by AWS’s bi-annual language advocate training. In the first session, I tell people about the importance of fighting domestic violence. I feel inspired when I share to new interested folks about how many people have worked so hard to improve women’s rights.